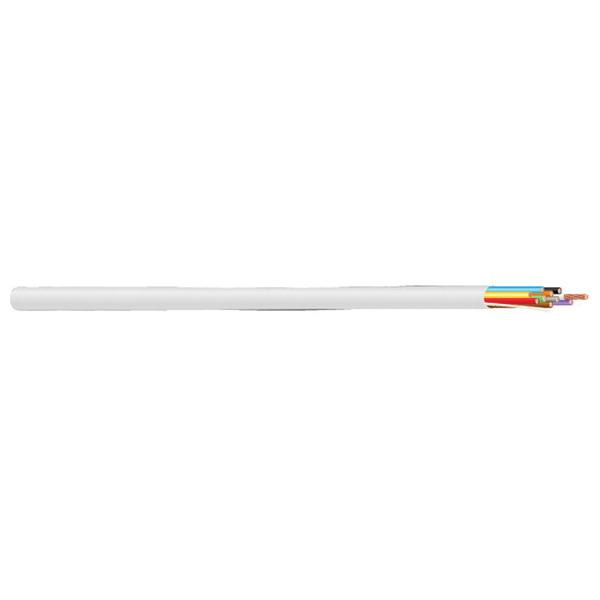 Southwire 16/2 Plenum rated multi-conductor cable has outer diameter of 0.196-Inch. The bare copper cable features natural colored low smoke PVC that jacket withstands daily wear and tear. The LS-PVC insulation resists electrical leakage and offers protection against environmental threats. It has aluminum/Mylar overall foil shielding that reduces EMI/RFI interference and helps to reduce crosstalk. Cable has voltage rating of 300-Volts. It has operating temperature range of 75 deg C. Cable is ideal for security, sound/audio, speaker, intercom, remote control and alarm/access control circuits. This 1000-ft cable comes in a reel. Cable is CMP/CL3P certified.